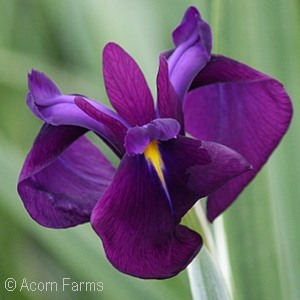 Where can you find an Iris that is winter hardy to zone 4, comes back better with each passing year with large, showy crepe paper type flowers that bloom after most other Irises even in wet, heavy, clay soil? 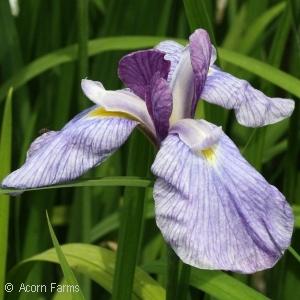 Right here with the Iris ensata - the Japanese Iris! 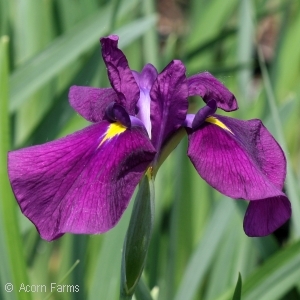 You will love the big, bold blooms of this spring bloomer - it never fails to impress. 4966.jpg##Imperial Magic grows 32" tall and has large white blooms heavily speckled with purple 4943.jpg##Lion King has large 7-8 inch double blooms of purple with white centers 4472.jpg##Mt. 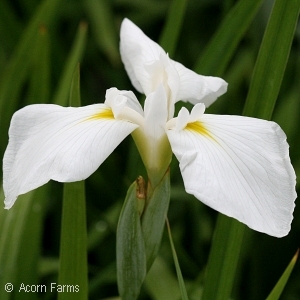 Fujiyama has large, pure white blooms on 36 inch stems. 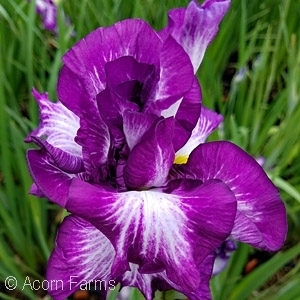 4987.jpg##Royal Banner has dark reddish-purple blooms on 35 inch stems 5028.jpg##Variegata has green and white striped foliage all summer and bluish-purple blooms in late spring.